programming the frequencies every time the instrument is used. ter or greater useful range so the user could move around freely. The glass or Pyrex plasma tube is a noble gas antenna or emitter. 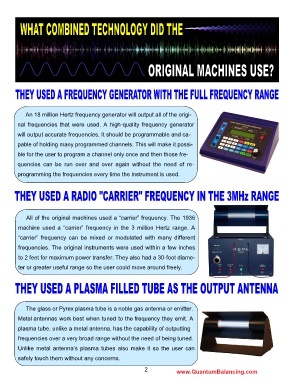 frequencies over a very broad range without the need of being tuned. safely touch them without any concerns.